Used in 108 recipes at an average of 3.572%. Been fiddling with this one for awhile now finally got something that I am happy with the balance of fruit and tobacco. The Catalan Cream ties them both together. Really needs the 2 week steep for everything to fully come together. 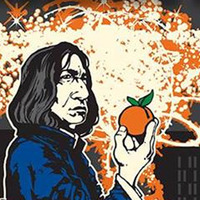 This week in The Year of Mixing we were transported to a potions class at Hogwarts. 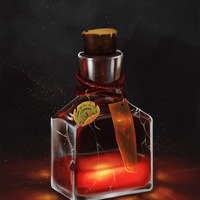 I decided to mix up a Babbling Beverage potion to cast a spell on someone. I wanted to make something that was a bit like taking a hand full of gummy candies and put them into a syrupy drink. The idea was to make a potion that tastes great and would allow the caster to successfully deliver the potion to their target in vapor form. If you like sweet commercial candy type vapes, this recipe is one that will be an all day vape in a tank kind of flavor. This is my clone of Titan by Blue Dot Vapors. They describe Titan as "a sweet apricot, nectarine torte, finished with the tinyiest touch of candied ginger." That's as good a succinct description as can be given, I think. It's sweet and apricot-forward. The combination of juicy peach and sweet tangerine tastes as much like nectarine as anything else. "Torte" can be used to describe a wide variety of baked desserts, from a huge fluffy cake to a crunchy little tart. And there is just a touch of ginger that indeed tastes candied in combination with the sweet stone fruits and citrus. Mind the Steep. This is not a recipe for impatient mixers. There's a reason Blue Dot advises you to steep their juice and gives you the option of paying a little extra for a pre-steeped bottle. This stuff needs it. The ginger comes on too strong and there are bitterness and astringency issues that steep out completely, just give it time. This juice was a joy to recreate because the source material and, after a healthy steep, every version I mixed while trying to copy it, was delicious. If the profile interests you but clone accuracy doesn't really matter, I actually preferred an earlier version that had 3% Apricot, 1.5% Juicy Peach, and 0.75% Sweet Tangerine with the 4% Graham Cracker and 2% Gingerbread. Although the percentages can easily be played around with and make great vapes, I don't think any of the ingredients can be substituted. TFA Graham Cracker Clear might be a better graham cracker for most applications, but it's just too crunchy, not sweet enough, and missing the tiny hint of cinnamon that this needs. Find your fruit heaven folks, this is mine. Parfait heaven. The Spanish translation of parfait is perfecto...love it. CAP Apricot, TPA raspberry and TPA strawberry ripe have been my combo for this. There are many others, but this one makes me happy. GC Clear provides just enough of a bridge here to make it a parfait rather than a fruit cream alone. FA's Butterscotch makes it even better while adding to the sweetness of the mix. NY Cheesecake, while not what I typically use, gives the effect I wanted here minus some of the buttery/coconut notes I get from TPAs CGC. CAP Whipped Cream? 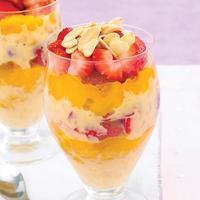 What parfait doesn't benefit from a finishing touch? Recipe inspired from some of my own work and Wayne Walker's Vanilla Pudding Cookie recipe. Another dripper juice that certainly needs NO added sweetener ;) Good as a shake and vape, supreme after a week. Welcome to summer people! 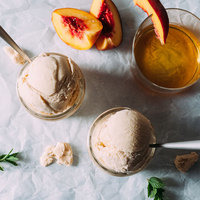 Tart and fresh Peach Icecream with a solid spike of bourbon. 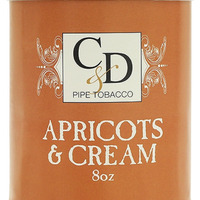 Nice and light real peach flavor with a hint of yogurt and refreshing apricot. Apricot + INW Peach + Peach Juicy + Peach white is... ...peach base! 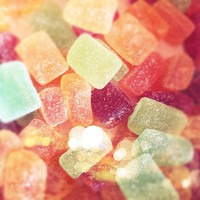 Jelly Candy and Gummi Bear are giving that gelatine aftertaste. Raspberry makes it more interesting. Sweet Sour is here to mimick sour sprinkles. Sweetener is optional, but EM is mandatory. I may make some changes to this, but as right now I'm very pleased with how this came out. This recipe was inspired by @Trevorxgage's Southern Peach. 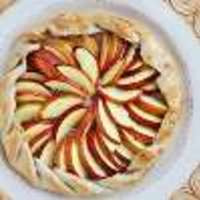 FA Cookie - This gives it the flavor of a very light baked, slightly buttery and flaky flavor crust that a tart would have. OSD Lucky Shot - This gives the crust some density as well as adds some mouthfeel. TPA Brandy - I feel like this adds some sweetness along with giving it almost a syrup feel to the fruits. INW Shisha Vanilla - I put this in to help the Brandy create the syrup, I think it works well in doing so. TPA VBIC - This is here to help meld the filling together with out making it too heavy, I had considered CAP Vanilla Custard but wanted to keep things light. CAP CDS - Couldn't have a peach tart without a touch of cinnamon, Not too much and along with the ginger I think it's perfect. CAP Honey - Another additive for sweetness and the syrup. TPA Juicy Peach - One of my favorite peach flavorings out there. I think this tastes like the flesh of the fruit. Sweet but not overpowering. CAP Yellow Peach - I get a slight tartness from this flavor to me it's like the skin of the peach, paired with the Juicy Peach gives this recipe the full peach flavor I wanted. CAP Apricot - The tartness from the Apricot boosts the peach flavors as well as helps with the skin portion of it. FW Ginger - As said above paired with the CAP CDS is the perfect amount of spice to this recipe while keeping it a lighter flavor and not muddling everything. FA Lemon Sicily - This is in to brighten the fruit flavors. I know it's a lot of flavors, and it's a bit of an odd one, but damn is it tasty.